If you are looking for remarkable pendants to complement your pirate clothing you are in the right spot. 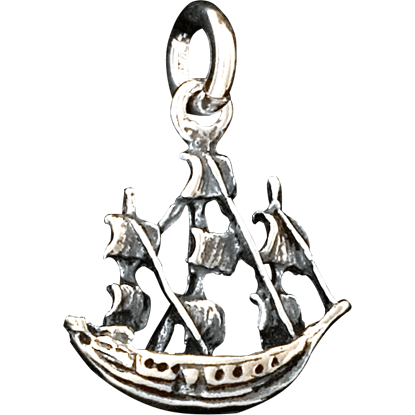 Our pirate and nautical pendants are made of quality sterling silver, pewter, or other great materials. Our pirate pendants feature classic designs like the Jolly Roger, skull and crossbones, skeleton pirates with cutlasses, pirate coin pendants, and pirate flags. Our pirate and nautical jewelry will add the perfect touch to your pirate outfit. At a time when the world was new and the seven seas were highways to new lands, traveling by ship was a necessity. The Double-Sided Sailing Ship Pendant is a wonderful way to capture the spirit of adventure. Based on a pirate coin design, the Pirate Coin Pendant is a fantastic piece for any fan of pop-culture pirates or fan of interesting and unique jewelry. Set with a skull and crossed swords, it features definitive pirate styling. Shambling across the deck this skeletal scallywag scans the sea for stranded and shipwrecked souls. 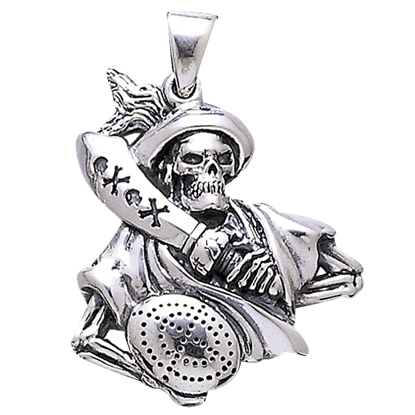 A terrifically detailed piece, the Pirate Skeleton Pendant is a must have for any who collect Skulls or Pirates. Shambling across the deck, this skeletal scallywag scans the sea for stranded and shipwrecked souls. A terrifically detailed piece, the Pirate Skeleton with Spyglass Pendant is a must have for wannabe buccaneers. Shiver some timbers and capture some booty with the Pirate Skull Pendant. The deathly skull design easily fits most pirate looks, while also adding a great touch of swashbuckling style to more modern ensembles too. 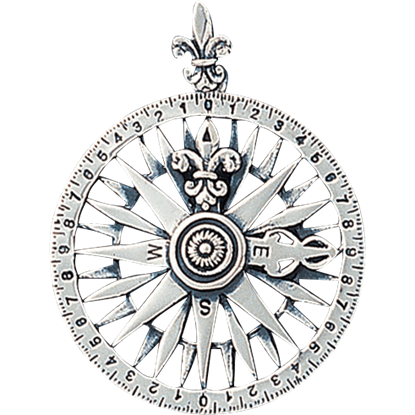 The compass is an ancient seafaring instrument, symbolic of the sea and the many voyages mankind has taken to traverse the globe. 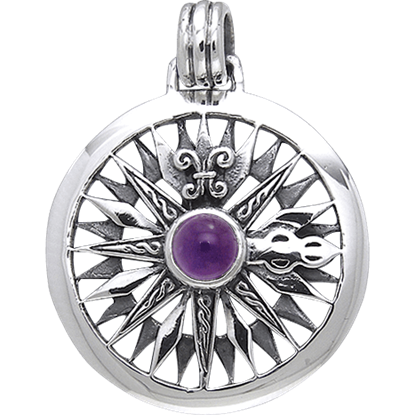 The White Bronze Compass Rose Gem Pendant displays many points radiating out from the center. The compass is an ancient seafaring instrument, symbolic of the sea and the many voyages mankind has taken to traverse the globe. The White Bronze Compass Rose Pendant displays many points radiating out from the center. The Spanish Empire had coinage that spread throughout the world. Their 8 reales became a standard trade coin and were the basis for the modern dollar. 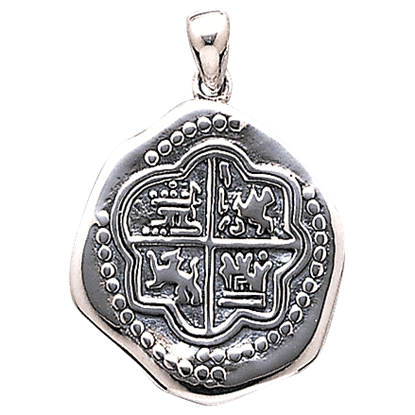 The White Bronze Pirate Coin Pendant depict one of these piece of eight. The legend of pirates has grown in popularity due to their fearlessness and wild adventures in popular media. 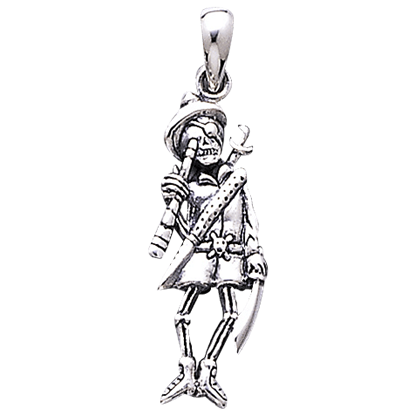 The White Bronze Pirate Skeleton Pendant shows off the upper half of a cutlass-wielding skeletal pirate captain. 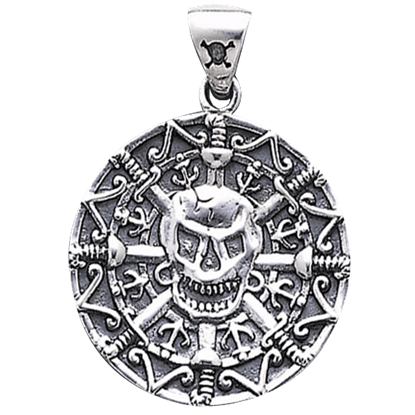 Based on a pirate doubloon design, the White Bronze Pirate Skull Coin Pendant is a fantastic piece for any fan of pop culture pirates or unique jewelry. The round pendant looks great with pirate costumes or daily wear.